@Cbear I really love the landscaping you chose. Its so soft looking. Where are the bunnies?? Big shout out to @Cbear13 the amazingly talented and ever wonderful creator of my siggie! @mommataurus2 oh I love that its a totally different style to mine and great decoration nothing looks bare. And your 100% right landscaping doesn't have to be tough or over the top you just need to break up the bare areas of the garden. For the judging side of the challenges what we look for with landscaping is that you guys make the most of the space, decorate, be creative try to creative some feature that is different and eye catching. 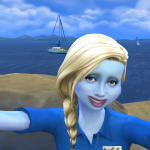 Also having some outdoor activities for sims to do is good to. We like to see personality in the entries which is best achieved by using decoration and clutter. A little example is if we had a challenge that was just say desert themed, you would think desert is just a lot of blank sand but with us judges that wont score you any points so think creative how can you decorate a desert. Use terrian paint to break up the plain land, rocks, cactus. Fill the areas with some kind of details so they dont look bare is what we are asking for. They dont have to be overly cluttered and jam packed but they have to have a good balance. 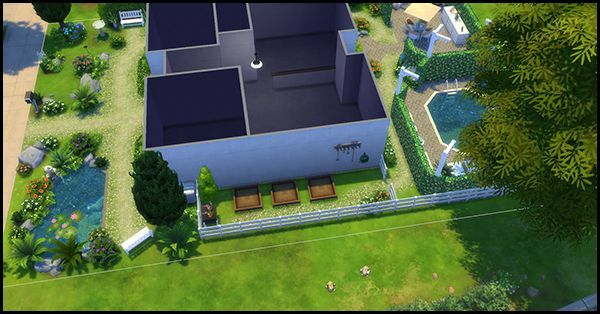 The way you have done the landscaping of the build looks very great! @mommataurus2 Very nice layout of the outdoors areas! The placement of the plants and rocks looks very effective! Very nice outdoors dining nook! The planter boxes on the edges give a great look to the area. It looks great the way you have a different flooring under the table. The cactus water feature looks very nice! The way that you have used the terrain paint for the pathways looks very nice and the type of terrain paint used complements well with the rocks and plants. Your landscaping of the build looks very nice! @Cbear13 Very nice front pond area! The flowers and rocks look pretty and nice on the edges of the water. 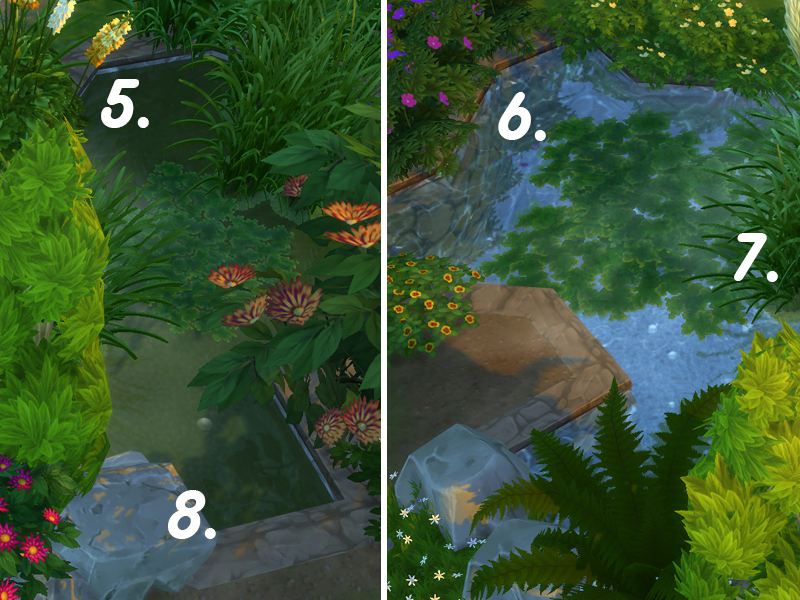 The lilypads are a nice touch in the pond. The flowers and plants look very nice against the edges of the front and sides of the home. The rocks and plants look great at the front entry area to the lot. Very nice seat bench sitting nook! The hedging looks nice on the edges of the seat bench . The terrain paint pathways look great how you have done them! Very nice outdoors dining nook! It looks nice how the hedging is used there and in the pool area to separate off the areas. 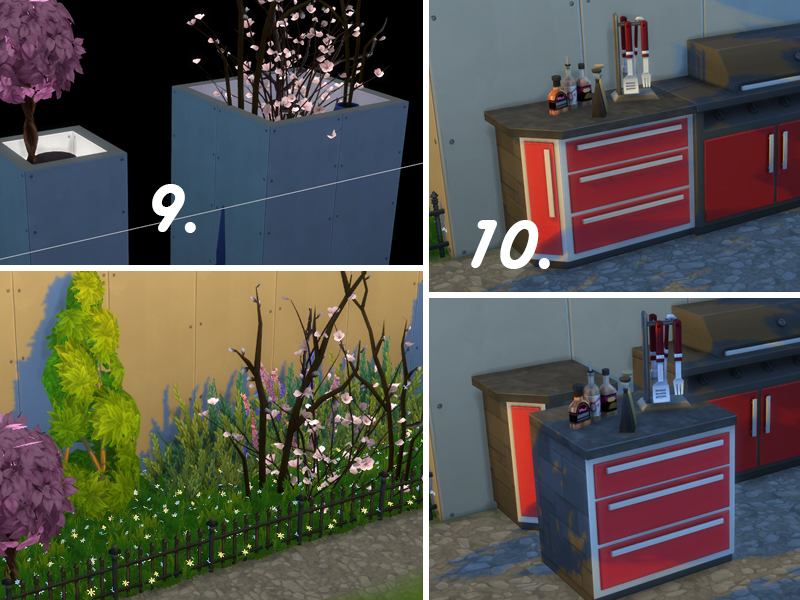 The armchairs on either sides of the outdoors dining nook are great to have there, and adds both to the look of the area as well as being an outdoors area where sims can enjoy sitting resting outdoors in the air. Very nice pool alcove! The fish water fountains look nice on the edge of the pool with the water going into the pool. 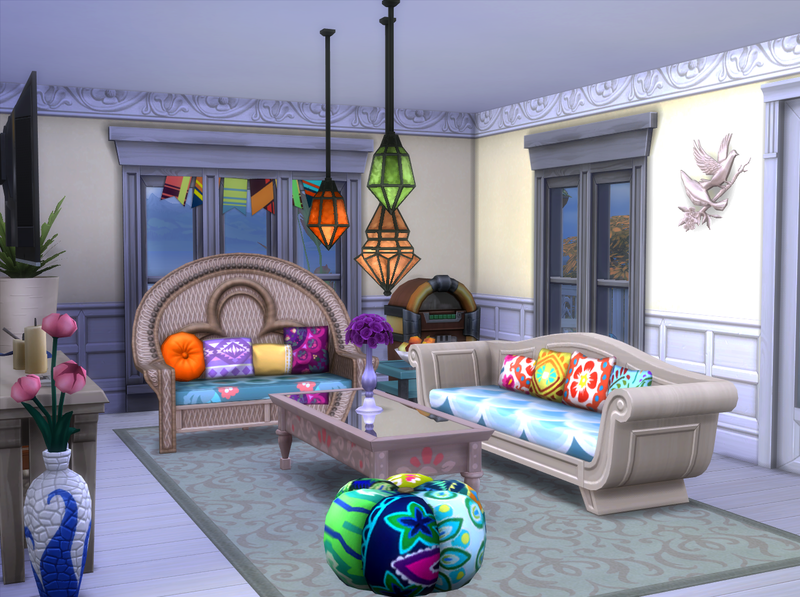 It looks great how the loungers have been created ! Very nice gardening nook! 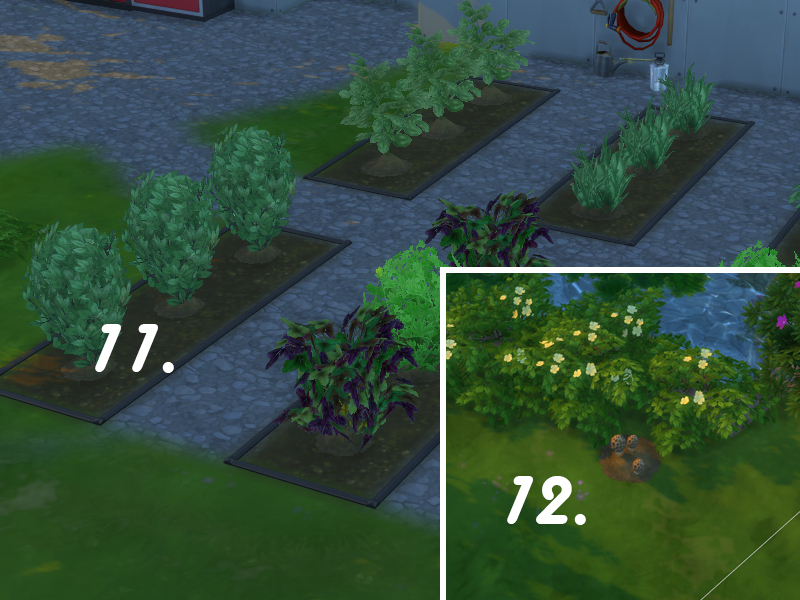 Sims will enjoy growing and harvesting plants there. It looks nice how the gardening area is fenced off. 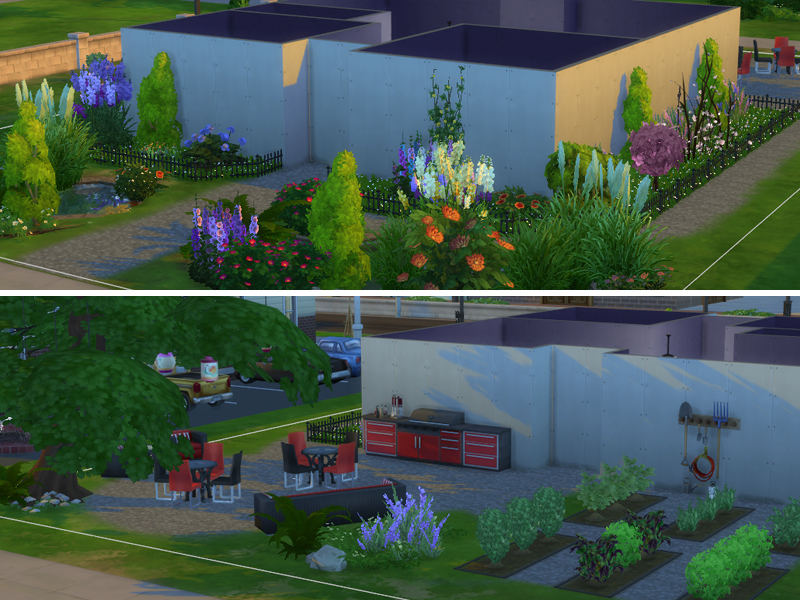 @Cbear13 what a great Idea that's why I join in some of the challenges just to learn and I just done one not so long ago It's in my showcase on a shell we were given to renovate and landscaping and did not get any feedback on It maybe got lost for words on it. 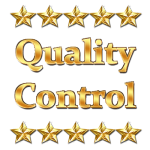 @chips46 well I am happy to discuss them in detail with anyone wanting to join in I wont just do a feedback like we do for the results I will actually chat to you through mail or on here if you like. 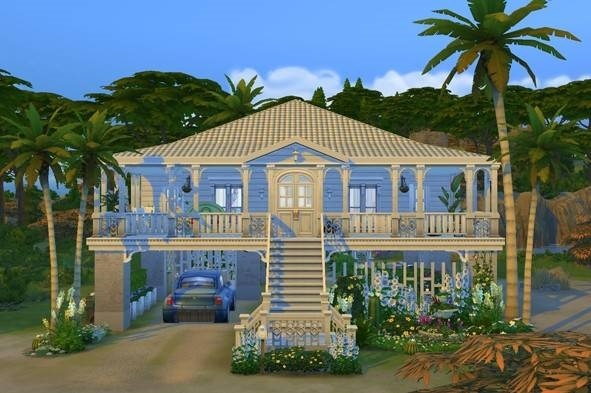 Your short story/write up: This beautiful white Queenslander on the sand is perfect for Jade, and she knows it! So close to the beach that during stormy times the waves can creep as close as the front door, thankfully it's highset! Heritage listed and surrounded by lush tropical gardens, this historical charmer is exactly what Jade's been searching for since deciding to take some time off to write that novel. Home, at last. Sea breeze and Sunsets is a very nice home! @Oliana Very nice layout and exterior design of the home! The stairs look very nice placed in the middle section of the front of the build. The flowers look pretty along the front of the stairs and along the edges of the front wall of candles! Very nice upper patio! The car port with the enlarged car in it looks great! The type of trees suit well the type of home. Very nice furnishing of the interior of the home! The living room is very nice! The type of sofas and the stool there looks nice. 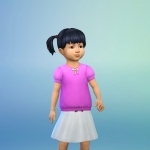 Sims will enjoy sitting resting there watching tv and listening to music from the corner nook juke box. The flowers on the coffee table and beside the tv are nice for sims to see when sitting there. The hanging lights look pretty ! The birds decor is a nice touch on the wall. Very nice design of the kitchen! The stove, dishwasher and microwave nook looks very nice! The cabinets look nice placed along the top of the nook and the wall cutlery, hanging pans, spice set, plants, hot chocolate , leafy picture,wall clock and basket of eggs are nice kitchen and home touches in the room, and look very nice how they are placed on the wall, counter and shelves there. 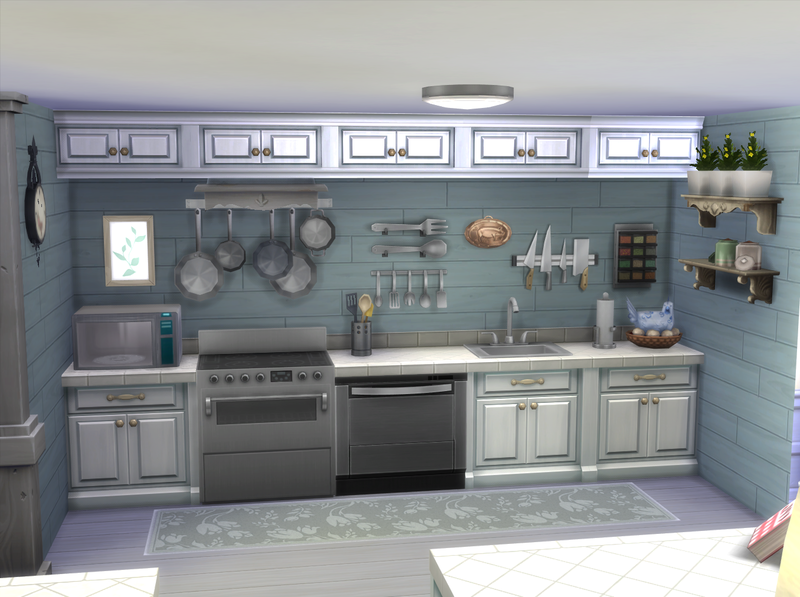 The blue colour of the kitchen walls look nice. Very nice outdoors areas! Nice firepit area for sims to enjoy sitting on the log themed seats around the fire, toasting food and telling stories. The outdoors dining area is very nice! The colourful patterned floor rugs add a nice look to the area. 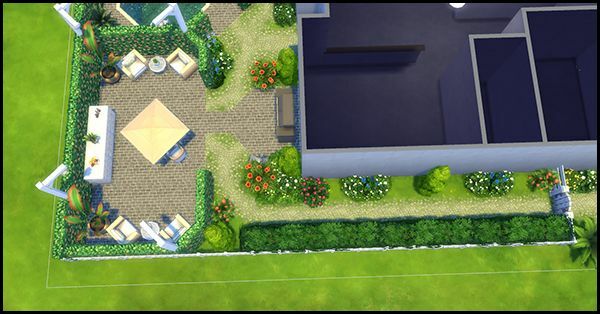 Sims will enjoy listening to the radio music whilst dining outdoors in the air. The lights there look very pretty too! Very nice hot tub nook! 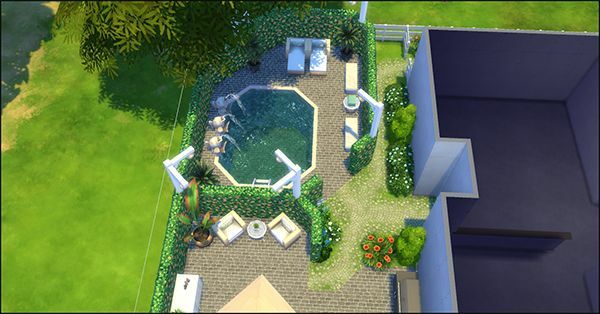 Sims will enjoy relaxing in the tub or resting on the sofa there. The walls of candles give a very nice restful look to the area. The home is very nice! Jade will enjoy writing her book there. The information and tips that you posted are so very helpful! @crysk. 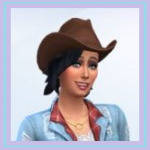 It is very thougtful of you to post the information to help fellow simmers, and to provide numbered pictures to accompany what you have written. 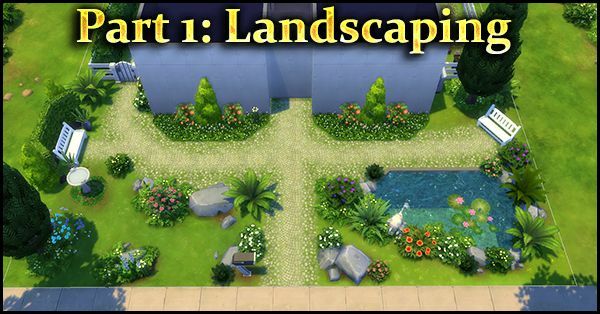 They will be a very helpful resource for simmers when landscaping. 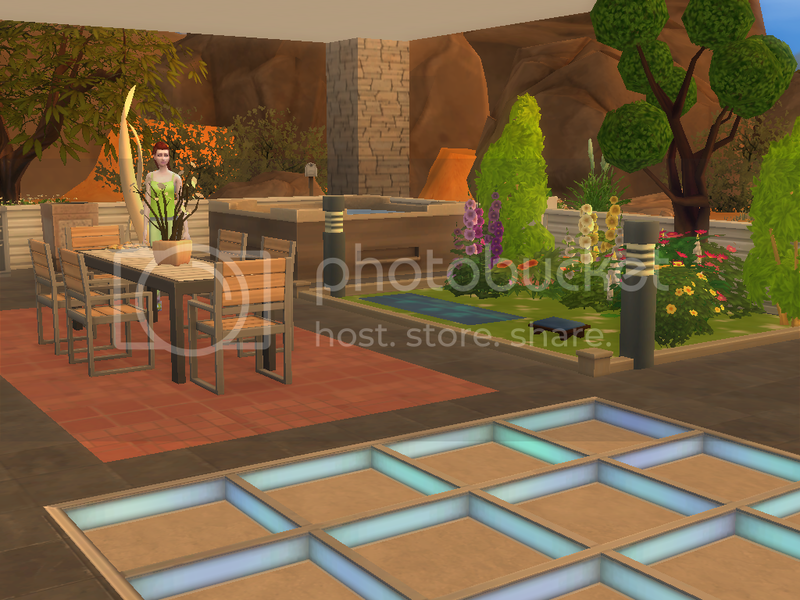 Great tips @crysk I've never tried placing larger plants on the basement level! It looks so effective as well! The build looks very nice! @steskens The trellis covered bar and outdoors dining area in the build looks very nice! 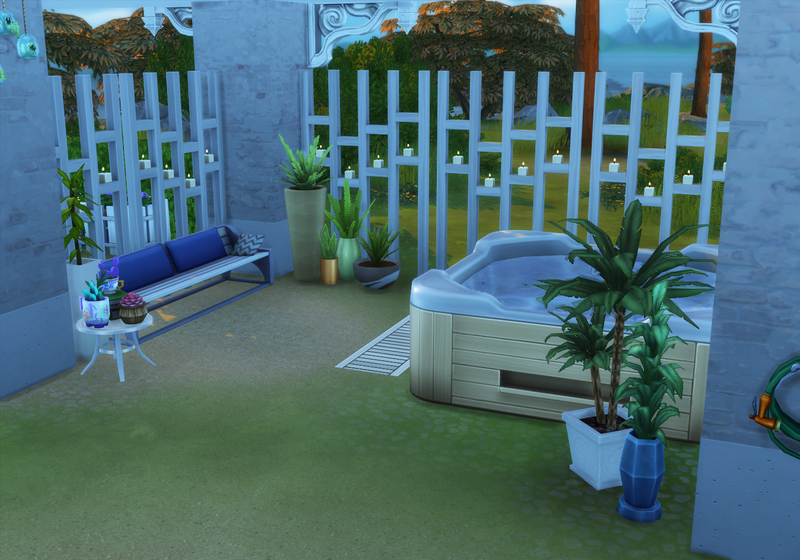 Very nice arnchairs sitting area in the bar area for sims to enjoy resting in the outdoors air. 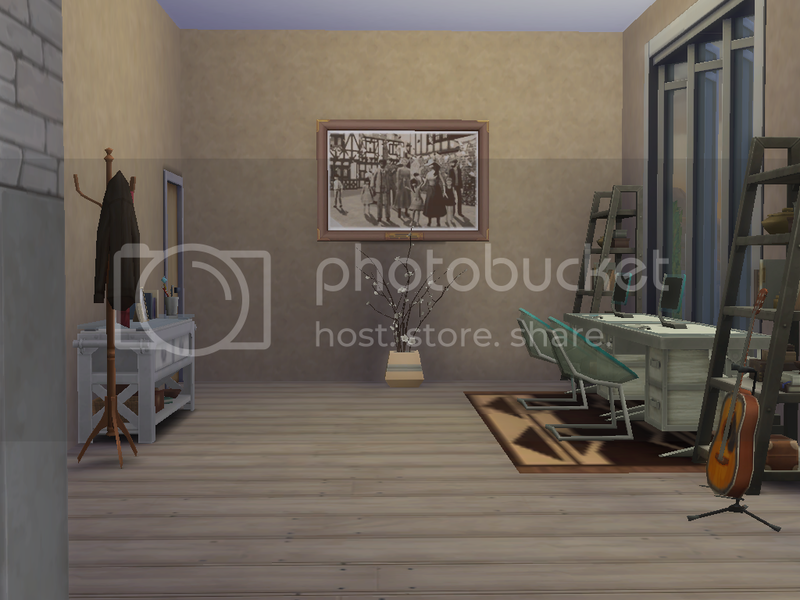 Sims will enjoy sitting at the bar counter or on the armchairs having a drink from the bar. The pool looks very nice there. The plants look nice on the edge of the water. 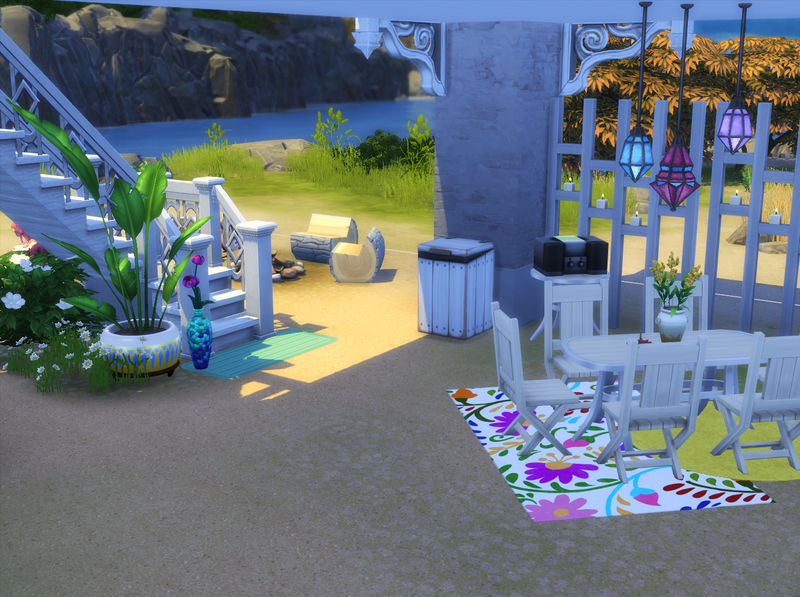 The outdoors dining nook is very nice for sims to enjoy cooking on the grill and dining at the table. The rocks and flowers near the outdoors dining area. look very nice how you have placed them l The art nook is nice. Sims will enjoy painting on the easel there in the sunshine through the day or in the evening air. Very nice lilypad pond feature in the front courtyard area! The rocks look nice placed around the water and the flowers look pretty on the sides on the rocks. It looks great how you have done the curved driveway! The enlarged car look great on the driveway! @Steskens I love the way you made your natural water features! Nice. 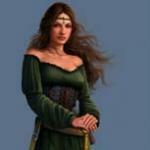 You may like to enter some of the challenges in the threads here in this section of the forums . 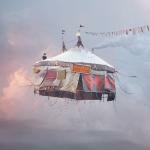 This is a link to the challenges that are currently running. Oliver Brunetti's wife, Alicia Fraser, came from a long line of rich aristocrats from Scotland. 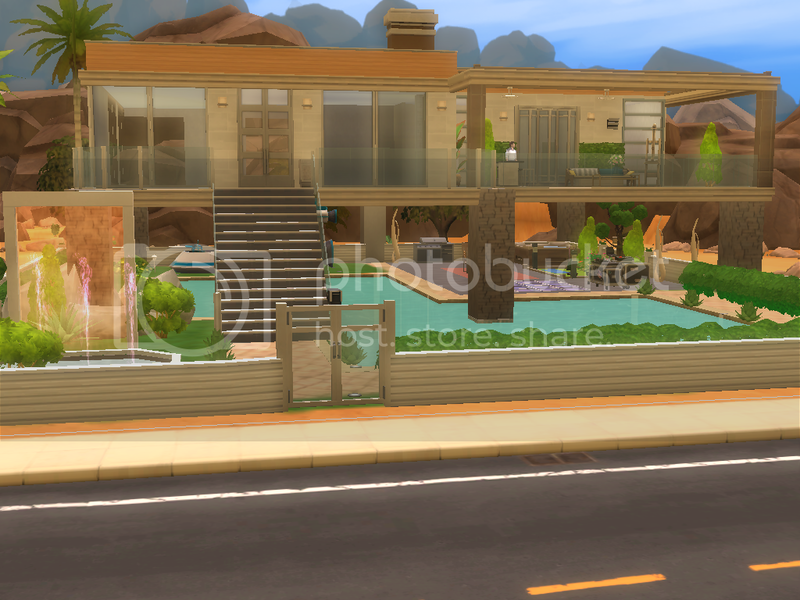 She just inherited a lot of money from her grandparents, so they decided to buy a huge beach house for them and their two twin girls in Oasis Springs. 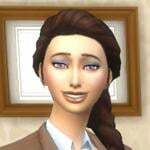 Oliver and Alicia are both materialistic and family oriented so this house is ideal for their family. There is a nice pink bedroom for the girls, complete with toys. There is a huge pool, a piano and a dance area for the family when they want to entertain guests. 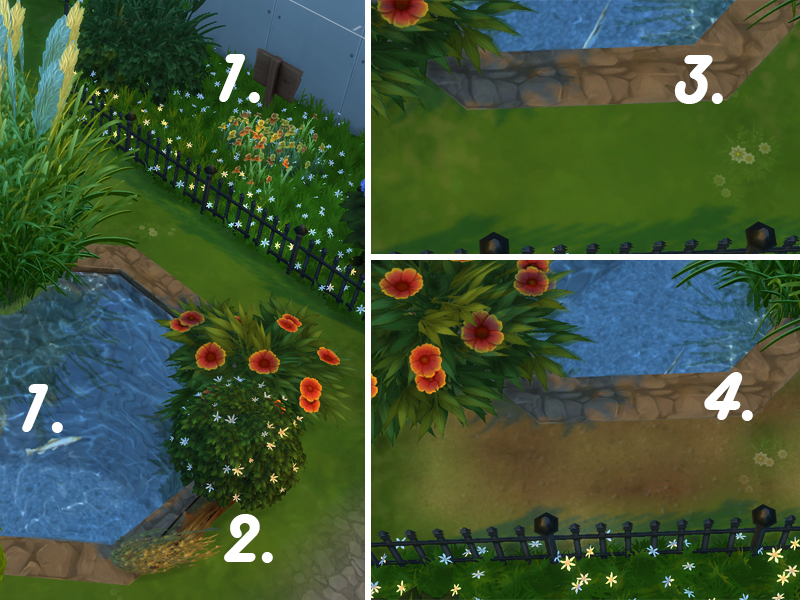 Here is my landscaping and I like making ponds by using the debug Items to make It more lively and also some twigs to enlarge for flower beds for mulch.